Carlo Gavazzi India, we are Importer, Distributor, Dealer, Supplier of all kinds of carlogavazzi products in India. We are covering the following products like Carlogavazzi Sensor, Carlogavazzi SSR, Carlogavazzi SMPS, Carlogavazzi Relays, Carlogavazzi Proximity, Carlogavazzi Inductive Proximity Sensors, Carlogavazzi Capacitive Proximity Sensors, Carlogavazzi Lightcurtain, Carlogavazzi DPM Meters in India. We are covering Carlogavazzi in major cities of India like CarloGavazzi Mumbai, Biwadi, Meanwell SMPS Delhi, Pune, Noida, Haryana, Maharashtra,Carlogavazzi Chennai, Madurai, Power supply Coimbatore, Pondicherry, LED Driver Bangalore, Hubli, Hyderabad, Vizag Faridabad, Meanwell india, Ghaziabad, Gujarat, Baddi, Indore, Surat, Fotek Ahmedabad, Vadodara, Vapi, Maharashtra, Kolkata, Westbengal, Udaipur, Jaipur, Punjab, Silvassa, Ludhiana,Fotek india, Kashmir, Goa, Jharkhand, Odisha, Tamilnadu, Andhrapradesh and other parts of India. Current consumption 10 mA max. We are instrumental in offering our clients a high quality range of Inductive Proximity Sensor. The offered sensor is meticulously tested on various quality parameters and is used to detect the position of metal objects. Provided sensor is manufactured by utilizing optimum quality raw material and latest technology. In line with industry standard, we provide the entire range of sensor in various customized options and at affordable prices. 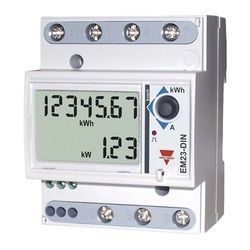 Our organization has successfully expanded its business in market owing to the offered elevated quality array of Carlo Gavazzi Automation Energy Meter. The offered meter is manufactured utilizing superior quality raw material and latest technology. Moreover, a team of our quality controllers conducts a series of quality tests on the entire range to seek out any possible defect. In tune with industry standard, we provide this meter in various customized options and industrial leading prices.